Leading pay TV operator Sky hasn’t been shy about discussing its plans to ramp up its efforts in programmable TV and advertising this year, and Streaming Forum attendees will get insight from Deepa Kutty, Sky portfolio & programme manager, when she gives a keynote at the event in London on 26 February. There's still time to get the earlybird discount if you register by 25 January. As a preview, we caught up with Kutty recently to discuss the opportunites and challenges around targeted advertising. Streaming Media: Targeted advertising is, in some ways, the holy grail for advertisers. Do current approaches to programmatic ad buying and server-side ad insertion (SSAI) live up to the hype, or is there still a long way to go? 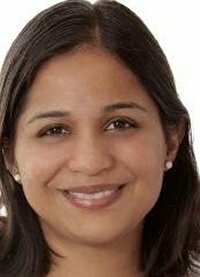 Deepa Kutty: Targeted advertising is the preferable mode of advertising not just for the advertisers, who reach relevant audiences and get a higher ROI, but also for the viewers who relate more to the ads. In today’s highly digital world, habits and preferences keep changing. So the flexibility of building diverse segments near real time is highly valued by the marketers. Given the pace of transactions in this space, programmatic ad buying goes a long way in making the process more efficient between advertisers and publishers. SSAI can work efficiently alongside all this based on the power of the ad decisioning server and the targeting functionality available—the richer the attributes from both first-party and third-party data, the more flexible the targeting. There is still some way to go, for the existing systems to harness the power of data to do this effectively and in turn reference this back to purchase to close the loop. However, we are getting there—slowly but surely! In addition to targeting viewers, targeted advertising also targets the type of device the viewer is watching on. What are the differences between advertising delivered to the living room and ads delivered to mobile devices? Targeted advertising can be done on various levels—content targeting, audience targeting, and behavioural targeting. With the latter, it takes some amount of machine learning to understand the typical devices accessed by customers at times of the day and location. Advertising delivered to the living room could be household—i.e., to the family—whereas ads delivered to mobile devices can be individually personalised and even interactive, and based on additional parameters such as device type and location. A recent report from Ampere said that Netflix subscriptions would soon outnumber Sky satellite subscriptions in the UK. How can Sky and pay TV in general keep up with the demand for OTT services like Netflix? With the TV viewing audiences categorised into cord nevers, cord shavers, and cord cutters, and the latter category increasing over the last couple of years, it is imperative that pay TV providers join competition by releasing their own streaming services. You can increasingly see this trend happening by branded streaming services being introduced – Disney is doing this with BAMTECH and last week, NBCU announced that they are working on a streaming service with Sky, targeting their pay TV customers and expanding to new customers as well as markets. Sky is also now providing a platform where viewers operate through a one-stop shop for content and experience, by partnering with Netflix and Spotify to provide their services through the award-winning Sky Q service. Following on the above, do hybrid services like Sky Q, which blur the line between pay TV and OTT, represent the future? Will consumers eventually want everything bundled back up again, even though they’ve enjoyed exploring the variety of unbundled TV and OTT services over the past few years? Yes indeed, it does. Sky Q, as said above, partners with streaming services such as Netflix and Spotify and provides a way of linking and streaming content through various devices. The recommendation and personalisation to households and individuals based on devices is a powerful proposition—as is the tracking of connected customer journeys from the advertising perspective. All this combined with the wealth of data on the customer viewing behaviour will help tailor content and adverting to the customer, and machine learning and insights will further refine the customer viewing experience. Register for Streaming Forum by 25 January to receive the earlybird discount. Featured News: Sky and BT Sport Retain EPL Rights; Amazon to Pick up the Rest?